Frozen pipes can be a nightmare to deal with. Between no water and cracks in the structure, if you have ever experienced frozen pipes you know truly how much of a hassle they can be. Additionally, frozen pipes can end up causing crazy messes and even hundreds, if not thousands, of dollars worth in repairs. If you’ve just moved to an area that gets very cold in the winter, frozen pipes might be a new thing to you. Even if you’ve never had to worry about frozen pipes before, they are something you should be very wary of. Check out this article for all you need to know about preventing frozen pipes, thawing frozen pipes, and more. The best way to deal with frozen pipes is to prevent them in the first place. 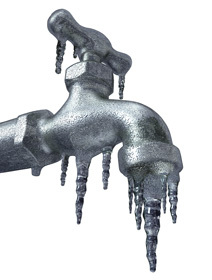 If you take the proper steps to prevent frozen pipes, you likely won’t ever have to deal with them. The main thing you can do to prevent frozen pipes is keeping your heater on during the cold months, even when you are not home. Keeping the heat at 65 degrees or above will likely be enough to prevent frozen pipes. You should keep the heat on even if you’re going out of town for a few days. Another way to prevent frozen pipes is to use heat tape. Heat tape is a special type of tape that wraps around the pipes and plumbing fixtures and then gets plugged into an outlet. For homes with basements that aren’t heated, heat tape is a good way to prevent frozen pipes. If it’s the dead of winter and water isn’t coming out from a certain tap, the pipes are probably frozen. 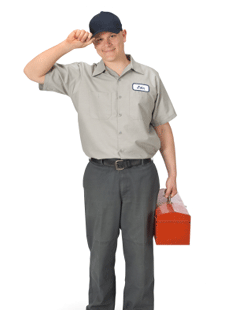 Many people choose to call a professional like Jim Dandy plumber to fix the issue, but it’s possible to do yourself with no experience. The first step will be to locate the frozen pipe. If no faucets in your home are working, it likely means the source of the problem is coming from near your meter. Use your hands to feel the piping near the meter, and if one of the areas of the pipe seems oddly cold, that is probably the location. Thawing the frozen pipe is the next step in getting everything back to normal. Before you begin to thaw the pipe, make sure the water is turned off so water doesn’t instantly start surging through the pipe once it’s thawed. Also remember that you should never under any circumstances torches or boiling water to thaw a pipe, as this could result in an explosion. Turn on the hot water faucets in your home so water can come through. Then, take a hairdryer and continually blow hot air onto the pipe until the pipe begins to thaw. 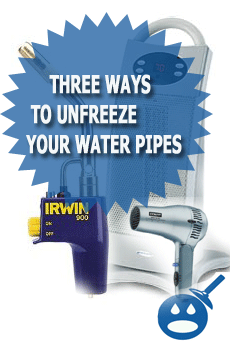 One thing to remember is that if your skin can tolerate the heat, so can pipes. It may take quite a while to thaw frozen water pipes, but there isn’t really another option unless you want to call a professional.